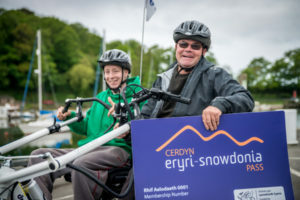 Beics Antur Bikes are proud to be a part of the new Snowdonia Pass, which offers fantastic savings with dozens of participating attractions, activity providers, eateries, shops and accommodation providers throughout Gwynedd, Conwy and Anglesey. You can now buy the Snowdonia Pass in our shop in Caernarfon. Whether you’re in Snowdonia as a visitor or a resident, you can save money on your days out, meals, shopping and more with a Snowdonia Pass. This is your ticket to great savings, so if you love Snowdonia and you love saving money, you’ll really love the Snowdonia Pass!